A leading discount supplier of handicapped wheelchair accessible showers and walk in tubs, Aging Safely Baths announces the Escape hydrotherapy step in tub. This exceptional premium bathing appliance is skillfully manufactured in the U.S. and comes with a limited lifetime warranty on the door seal. Heated seats, hydrotherapy, low step in, lifetime warranty! This walk in tub has it all! 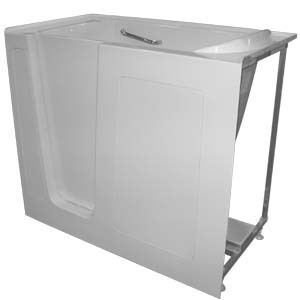 A national discount walk in tub and handicap shower supplier, Aging Safely Baths announces the Escape hydro-therapy step in bathing appliance. The company will now be offering this specialty 51”L x 30”W x 38”H bathtub to customers in the United States and Canada. According to the company, this premium low step in tub is made in the U.S.A and comes with a radiant heating system underneath the seat to help bathers remain at a comfortable temperature when filling or draining the tub. The compact size is potentially ideal for retrofit applications where space is limited, yet large enough to be relatively spacious when bathing. Aging Safely offers a wide variety of specialty bathing products that are specially designed for the elderly and disabled. 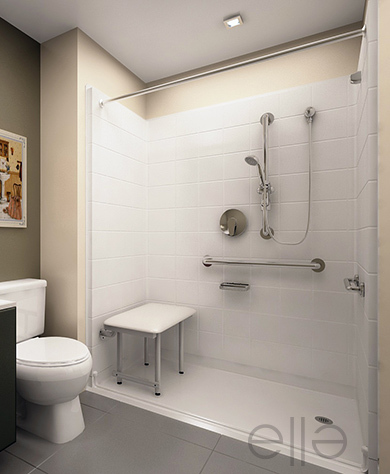 The company’s product line includes wheelchair access showers with built in padded seats, transfer bathtubs, hydrotherapy jetting, grab bars, step in tubs and padded bath pillow cushions. Several of the products offered may also be ideal for home rehabilitation. 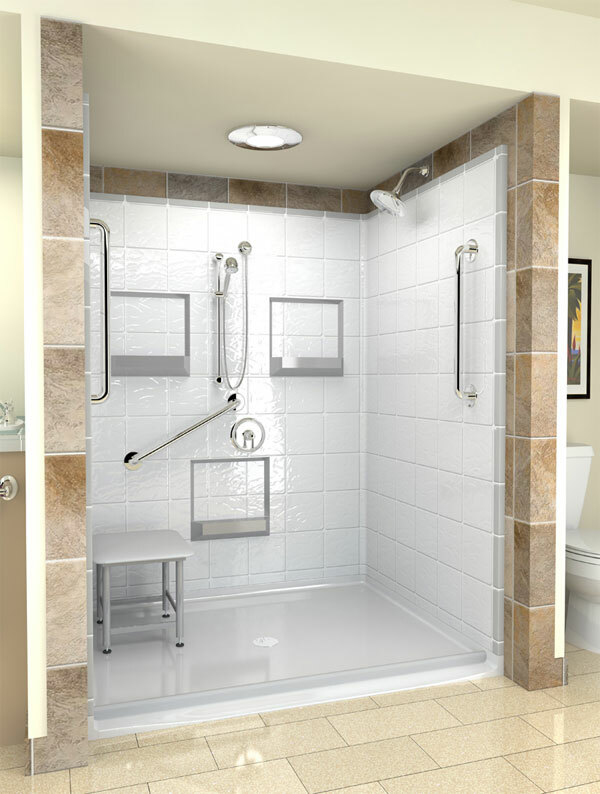 The low step in and door may make it easier for bathers to enter and exit the tub without having to bend their extremities as much. Grab bars can also be installed next to the entrance of these unique appliances to provide bathers with additional support while entering or exiting. Clients who are interested in purchasing a specialty bathtub online will enjoy the convenience of Aging Safely’s drop shipping service. In addition, clients who are in a rush can select to have their appliance shipped out next day directly to a jobsite, residential address or commercial facility. Furthermore, nursing homes, assisted living facilities, long term care centers, hospitals, rehabilitation centers and contractors can qualify for bulk pricing when ordering from Aging Safely. Homeowners can also receive substantial savings on handicap bathtubs and receive no cost shipping when delivered to the locations within the continental U.S. 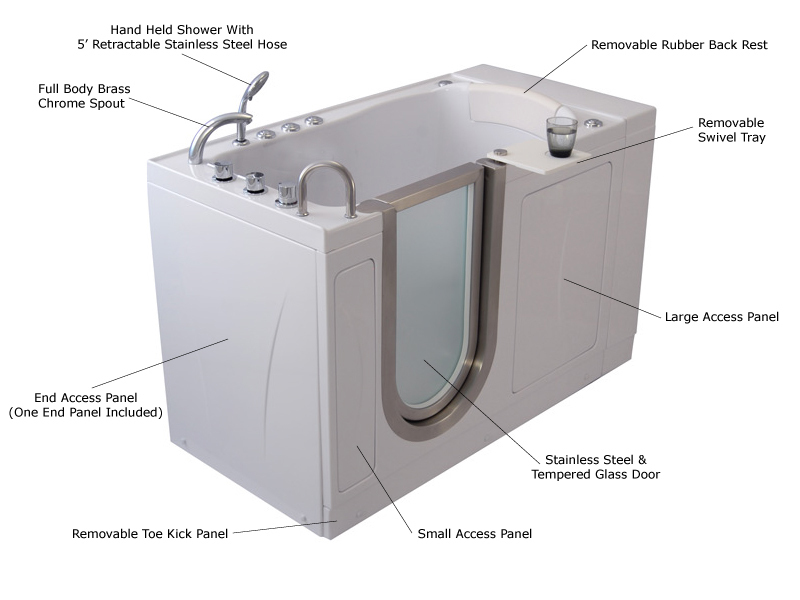 Shoppers who would like more information, or schematics on the Escape walk in tub are encouraged to contact a customer care representative or visit http://www.agingsafelybaths.com. Customers who care about aesthetics will appreciate the fact that this premium senior bathtub comes with a very high quality fiberglass gel coat construction which offers an incredible sheen and is easy to clean. An ozone generator also comes standard and may help keep bacterial growth to a minimum in the water jet lines. 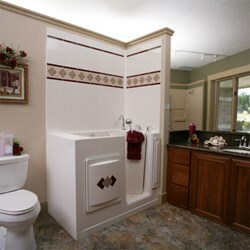 Reverse plumbing is possible for applications that require a drain to be on the opposite side as the door. It’s important to note however, certain installations may restrict reverse plumbing.